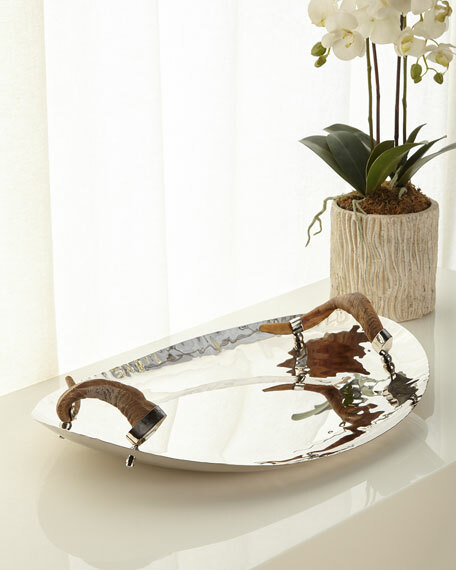 Forged from stainless steel, this polished nickel tray will make a statement on any cocktail or dining table. 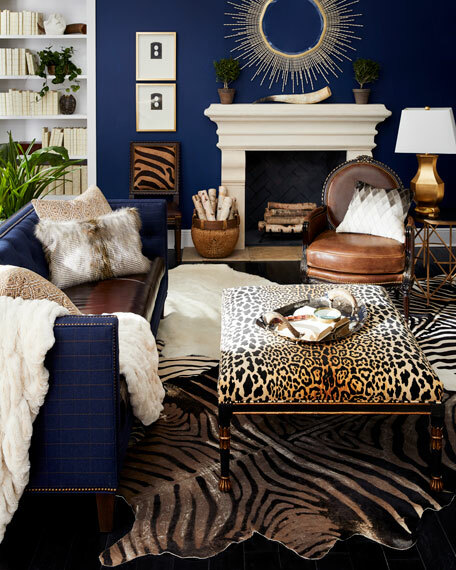 Natural horn handles add a rustic touch to the otherwise sleek form. Horn may vary. 24"W x 17"D x 5"T.
Horns are harvested sustain ably from domestic Indian Goad.